Proudly serving Lincoln, Omaha, Lancaster County, Douglas County Nebraska. J4K Cleaning strives to be one of the best commercial carpet cleaning company in the business. 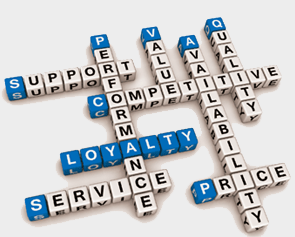 Our customers are our first priority, and we are dedicated to meeting your cleaning needs. We at J4K Cleaning provide quality commercial and industrial cleaning, complete janitorial services, commercial carpet cleaning, and hard surface floor care servicing commercial buildings, medical facilities, common areas, restaurants and all types of offices through-out Lincoln, NE, Lancaster County, Douglas County and all of Southeast Nebraska. We understand the importance of a clean and healthy work environment and our professionally trained carpet cleaners will exceed your expectations. Feel free to contact us and let us know how we can serve your carpet cleaning or janitorial service needs. Thank you and we look forward to working with you. Why not schedule your no obligation carpet cleaning estimate today? * Hot water extraction. Our deep cleaning method will flush dirt and pollutants from your carpet leaving them fresh and clean. We use Procyon cleaning agents to clean your carpet. Procyon is a soap and odor free cleaner. Since there is no sticky soap residue left in your carpet to attract dirt your carpets stay clean and fresh longer. Procyon is also Green Seal certified as safe and environmentally friendly. It has even been used to clean at the Whitehouse! * Encapsulation cleaning. We also offer this excellent cleaning method for commercial carpet. 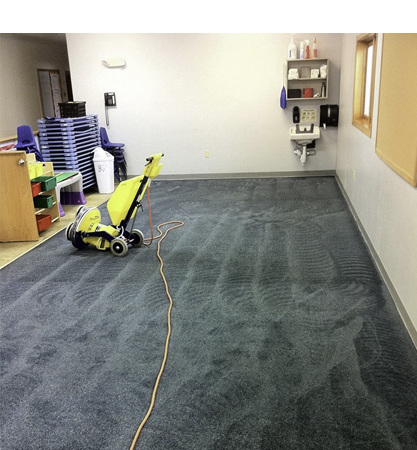 Most dry soil in a commercial setting can be readily removed by routine dry vacuuming. It’s the oily and sticky soils that attract and hold dry soil to the surface. The result is a dull, gray, and ugly appearance. New customers receive 4,000 square feet of carpet cleaning when you sign an agreement for a year of Janitorial Service. 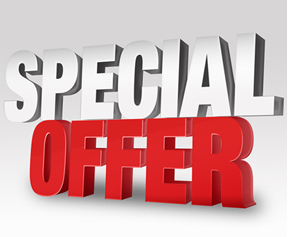 Take advantage and schedule your janitorial quote TODAY! We guarantee our carpet cleaning and stand behind our promises. New customers receive 4,000 square feet of carpet cleaning when you sign an agreement for a year of Janitorial Service. Take advantage and schedule your janitorial service quote TODAY! How does encapsulation cleaning work? The first step in effectively cleaning any carpet - thoroughly vacuum the carpet to be cleaned. If you do not remove the dry soil by vacuuming, then applying a cleaning solution to the carpeting will effectively cause mud residues to be formed in the carpet fibers. After vacuuming, the encapsulating solution is sprayed onto the carpet at the dilution rate appropriate to the level of soiling. It is then best to leave the cleaning agent to "dwell" for a few moments before it is thoroughly brushed through the carpet to ensure all the carpet fibers are covered. This brushing is vital to the success of the cleaning project and can be done with a range of equipment, from a bonnet buffer to a contra-rotating brush machine. As the cleaning agent dries - usually around 20 minutes, its unique technology attracts the dirt and soil from the carpet fibers before forming a brittle crystal, in which the dirt is then suspended. The final step is to vacuum away these crystals, removing the attached dirt and soil with them. Any crystals which are not removed by vacuuming at the time of the initial clean remain suspended by the technology and can be removed by subsequent vacuuming. Trust your commercial carpet cleaning to the professionals at J4K Cleaning. Learn more about carpet cleaning and protecting your carpets FREE OF CHARGE. Call us today at 402-421-3345 to get an estimate for your carpet cleaning and facility maintenance needs and don't forget to ask how to receive FREE Carpet Cleaning!